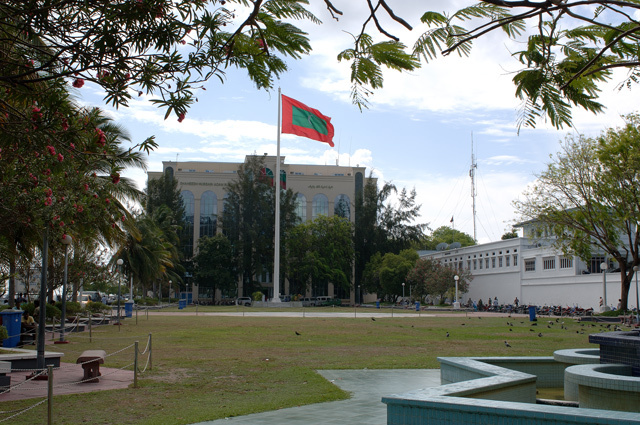 Male’ city is one of the most densely populated cities of the world. 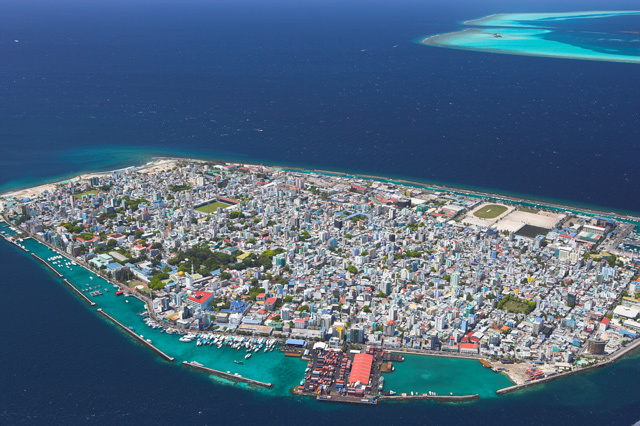 Administratively neighboring islands of Villingili and Hulhumale’ are considered as constituencies of Male’ City. 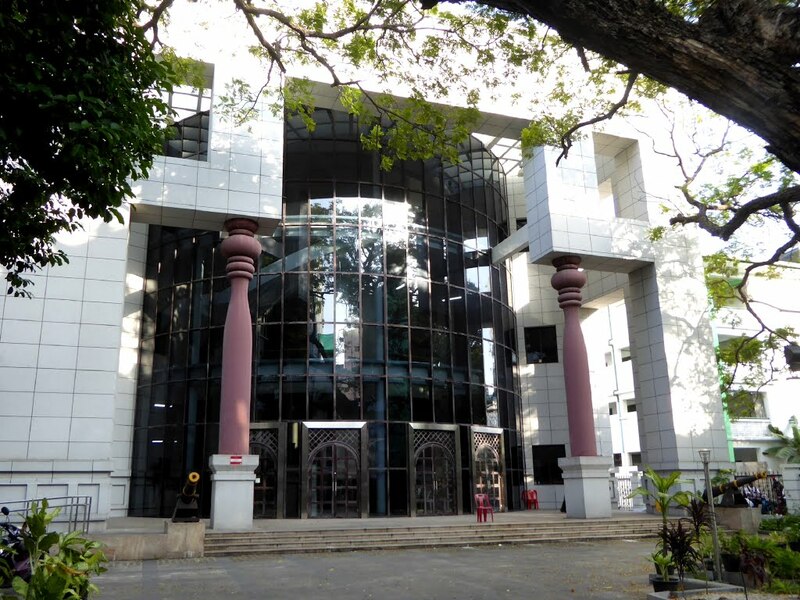 Hulhumale’ is an artificially reclaimed island. 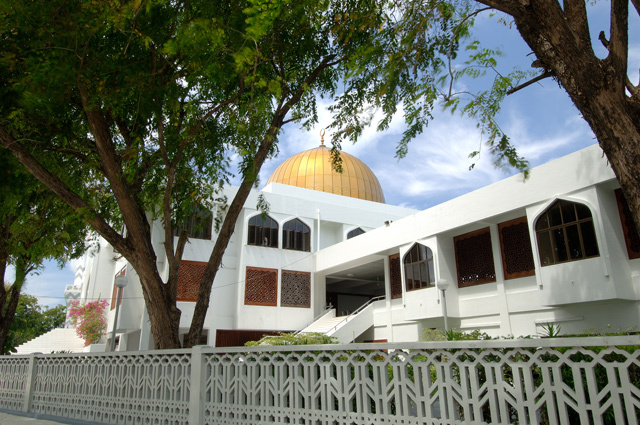 The Islamic Centre opened in 1984, is a popular attraction for tourists. 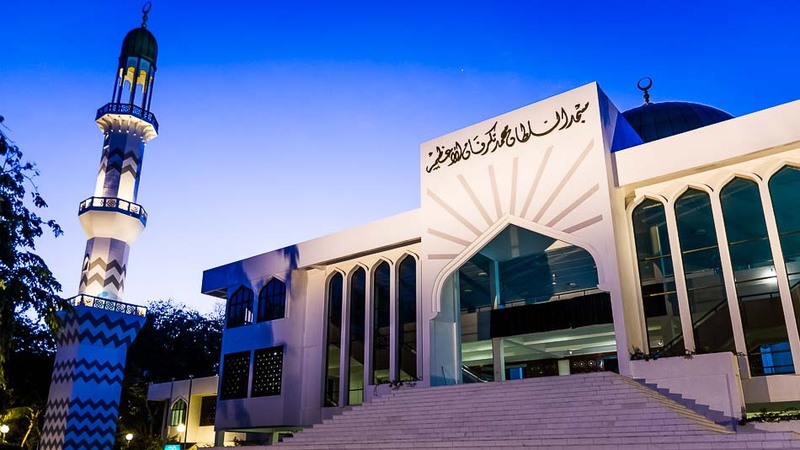 The Islamic Centre is known for excellent architecture fused with traditional Maldivian and Islamic concepts. The magnificent golden domes of the Centre ornament the skyline of Male’. The interior of the mosque is adorned with intricate wood carvings and Arabic calligraphy. The Friday Mosque is a testament to Maldivian craftsmanship. The mosque was originally built in 1658. The Friday Mosque was mainly built using coral stones. These coral stones display elaborate stone carvings. 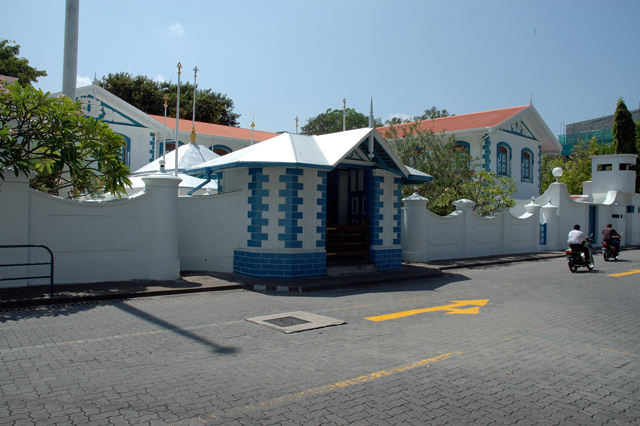 This historic building preserves to this day traditional Maldivian art forms like wood carvings and lacquer works. A coral stone minaret is located next to the mosque building. This minaret was previously the tallest minaret in the Maldives. A 17th century cemetery surrounds the Friday Mosque. Gravestones in this cemetery display intricate stone carving. The Friday Mosque is included in the tentative list of UNESCO World Heritage Sites. Artifacts and relics from pre- Islamic period to post Islamic period are displayed here. Regal dresses and items associated with Maldivian royalty can be explored. A rich collection depicting Maldivian craftsmanship and artistry is also displayed. You will even have the chance to discover moon rocks in the museum. 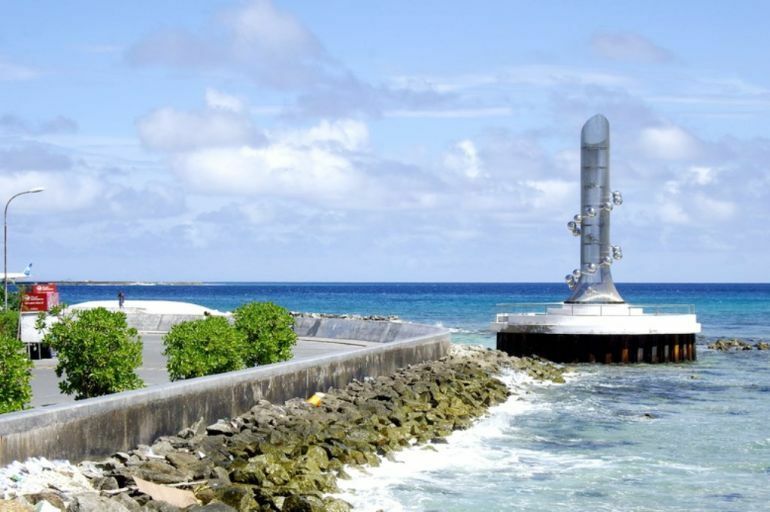 The Tsunami Monument is located in the southwest corner of Male’. 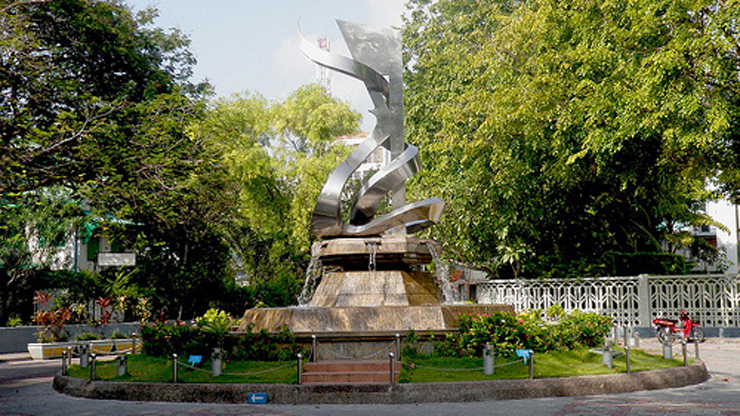 This monument commiserates the devastation caused to the Maldives by the 2004 Indian Ocean Earthquake and Tsunami. Many lives were lost and inhabited islands were decimated that day. The stainless steel structure has round circles representing the number of the people killed during the Tsunami.